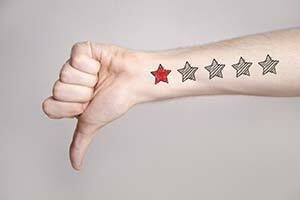 You might think that a bad review on Yelp or Google+ isn’t that big of a deal. The truth is, it can be a huge deal. There are not only review sites such as Yelp and Google+ but website such as TripAdvisor.com, Ripoffreport.com and many others that allow consumers to spill the beans on you and maybe even add blatant lies in their review. The fact is that 88% of consumers trust online reviews just as much as a personal recommendation. Perhaps you have created a place on your own website to allow your clients to leave a personal review. While you hope there are positive reviews, merely creating a place for your clients to share their opinions of your company says you care enough to ask. This in itself builds credibility with your clients. One thing that is really important about external review sites is that you “claim” your business. This means you are authenticating that you are the owner or spokesperson for the business. There are literally dozens of sites that may already have information or reviews of your company you might not be aware of. Perform an online search for your company name and you might be surprised at what you find. Claiming your business on each of these sites will generally allow you to comment on reviews made by others. In most cases, claiming your business name will also cause you to be notified when a new review is posted. While you can’t stop people from posting negative reviews, you certainly can and should respond to them. The response can range from an apology to an explanation or even an offer. So you received a negative review. What should you do? #2 – Admit mistakes! Share what you have done to correct the error. #3 – Offer compensation if appropriate. Refunds, credit, gift cards all work wonders as a token of apology. #4 – Share positives about your company such as how long you have been in business and what you specialize in. #5 – Ask loyal customers with positive experiences to share their own review. #6 – Share how important customer reviews are to help you improve your training and customer service level. Can You Yelp Us Out? We Will Yelp You Out!